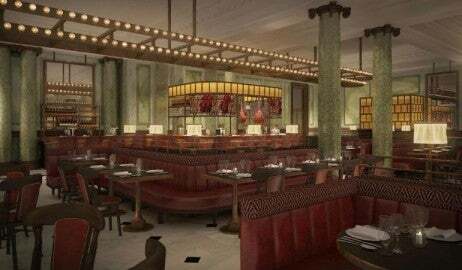 St. James Theatre, the first newly built theater complex in central London for 30 years, has opened the elegant restaurant Carrara at St. James. London enjoys one of the most exciting theater scenes in the world, but very few venues offer an onsite restaurant to suit the elite traveler. Carrara has changed that. Carrara has already attracted the cream of British entertainment – Eddie Izzard, Lenny Henry and Jools Holland to name a few – and St. James Theatre looks set to become a landmark in the cultural life of London. Guests are lured to the first floor restaurant by a grand sculptural staircase, designed by artist Mark Humphrey and built in Italy from six tons of white Carrara marble – hence the name. 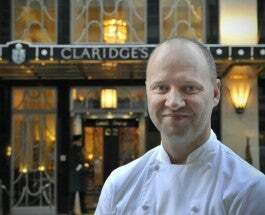 Head chef René Cahane has over 20 years’ experience working at some of London’s finest hotels, restaurants and private members’ clubs, and has created a menu for Carrara that celebrates the best of British cuisine with an Italian twist. He uses locally sourced, seasonal ingredients wherever possible to create simple but delcious dishes. Starters include pressed rabbit terrine with pickled blackberries & radicchio and pan-seared scallops with black pudding & baby spinach, while stand out main courses include confit duck leg, cannellini bean cassoulet & orange reduction and Kent lamb cutlets, marinated in garlic & rosemary. For dessert, don’t miss the rich dark chocolate fondant with Jude’s ‘very vanilla’ ice cream. The venue’s artistic program includes classic and contemporary shows in the main 312-seat theater and live music, cabaret and comedy in the 120 capacity studio theater. Regular theatregoers will know too well that last minute dash from restaurant to venue before curtain-up. No such stress at Carrara. With a central location by Victoria station, St. James Theatre is also a flexible venue for conferences, AGMs, corporate entertainment, meetings, product launches, presentations and social functions. 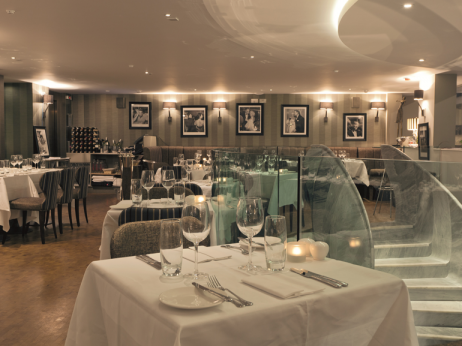 Catering for events can be provided by either Carrara or the more casual St. James Bar & Brasserie on the ground floor. The complex includes a full broadcast TV facility allowing shows to be broadcast on BSkyB and to audiences via online television.